All My Love Crafts: Hello gorgeous! 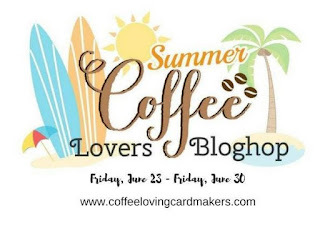 Day 6 of the coffee lovers bloghop. Flamingo stamps by Hero Arts provided the inspiration for todays card! The latte cup is from Newton's Nook "Newton loves coffee" stamp set and the patterned paper is from Craft Smith's "Sweet Soiree" paper pad from Michael's. This is card number 735 for the hop. Saw the flamingo and needed a closer look! What a fun card, sentiment and design! 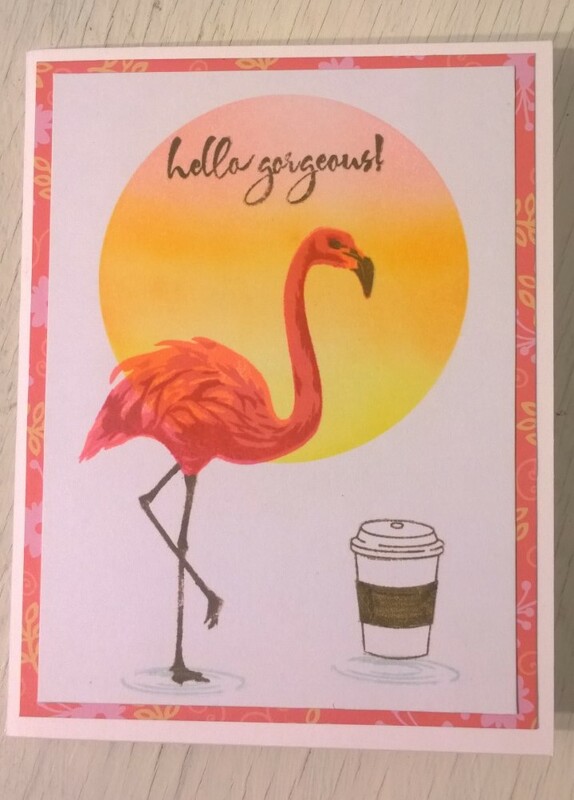 Supersweet summery coffee card, love it! This is lovely. I adore the Flamingo. Beautiful! Love your Color Layering flamingo and background! Great flamingo image and background. 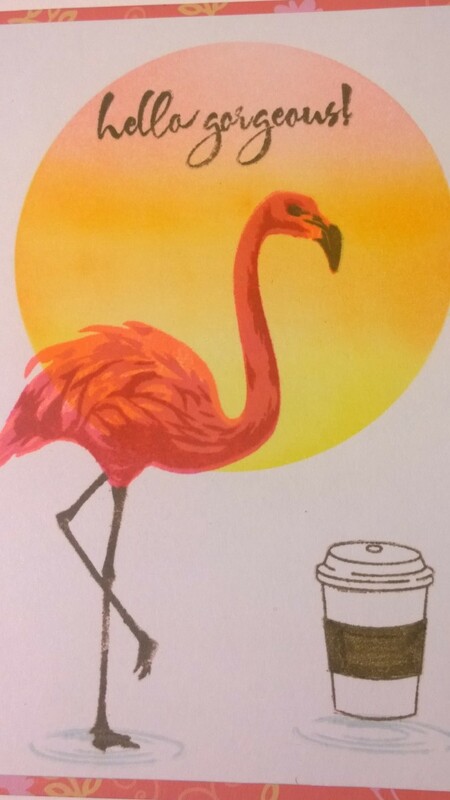 flamingo card with coffee theme is so cute! Awesome card with that sun behind the flamingo! Take life one cup at a time! Coffee and Love are Best When They're Hot! Summer 2017 Coffee Lovers Bloghop!